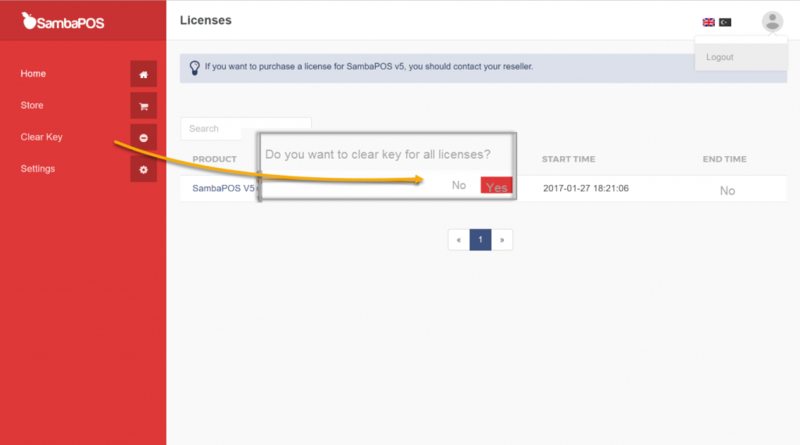 SambaPOS License is used for only single database. It is not possible to perform licensing process for multiple databases. In case of changing or moving the database, it has to be re activated. It is written Unregistered Trial Mode on the top left corner if SambaPOS License is not activated. Also program shows warning Pop-Up on the bottom right corner after 500 tickets and blocks taking order. 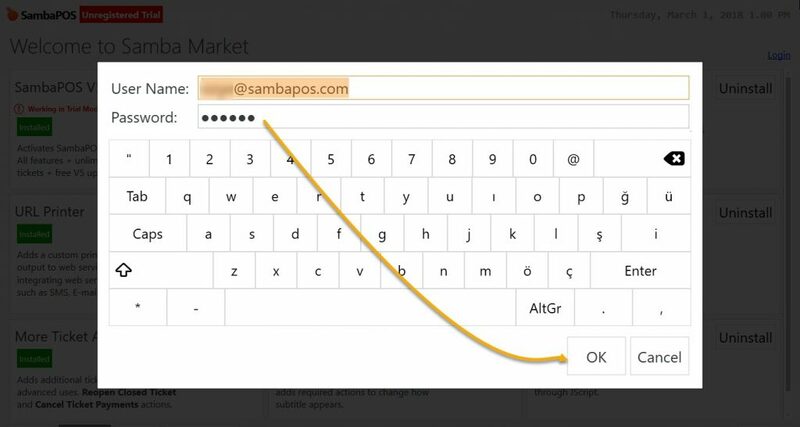 After completing license purchasing for SambaPOS, user must not share the e-mail address and password with other people. Login by admin password for licensing process. Note: The computer has to be connected to internet for Licensing and Activation process. 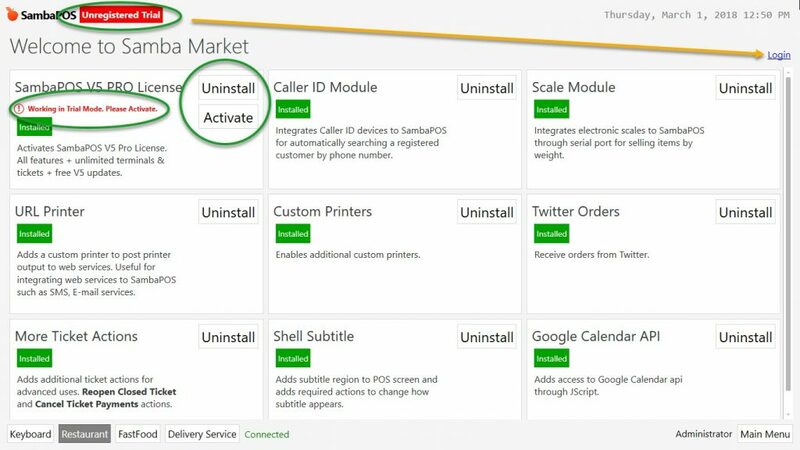 Click on Samba Market menu from SambaPOS navigation screen. In the Samba Market menu click on Login link from the top right corner. In the window, after writing User Name and Password, click on Ok button. User name is the license e-mail address. After clicking on Ok button, e-mail address will be displayed. On the license module, Activate button will become more visible. 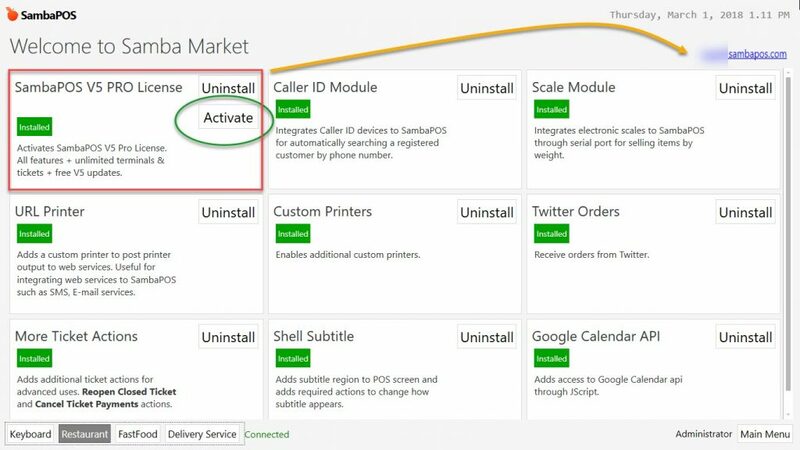 Click on Activate button. Logout SambaPOS completely and restart it. In case of license has been removed on Samba Market register section. It is necessary to perform the Clear Key process in case of re activation already done but there is still the warning about activation. Clear Key resets the information which assigned to license previously. New information will be valid when it is re activated. To perform Clear Key process login with user e-mail and valid password from cp.sambapos.com address. After logging in to user panel, click on Clear Key link from the top left menu. In the message window click on Yes button. The activation password goes to the registered e-mail address. 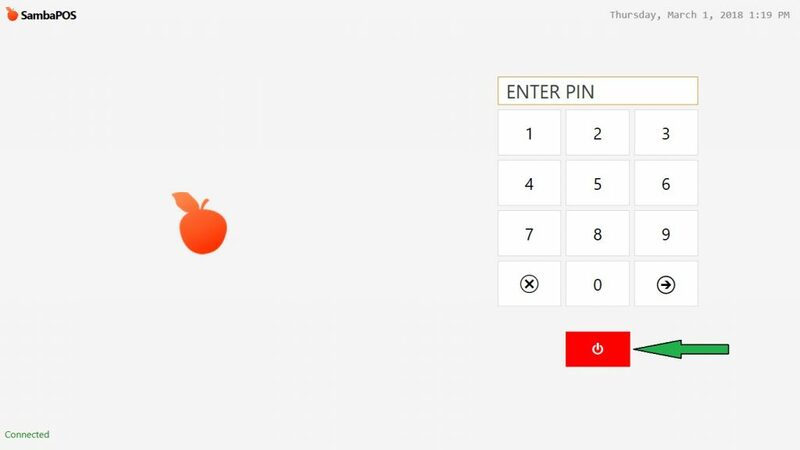 In case of forgetting password, from cp.sambapos.com control panel, click on Forgot Password link. In the window; into E-mail or User Name field, write the e-mail address which license is registered to. If you click on Send button, a link for creating new password will be sent to registered e-mail. 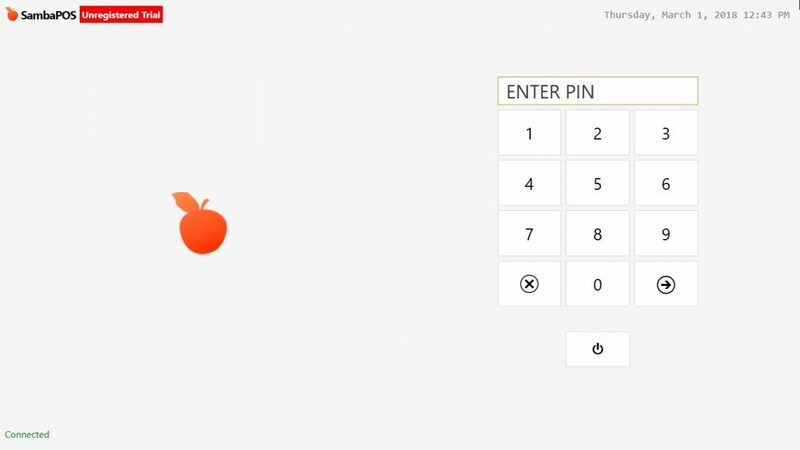 Click on related link, create the new password, repeat the activation process and complete the license activation. 5.5.7.d. 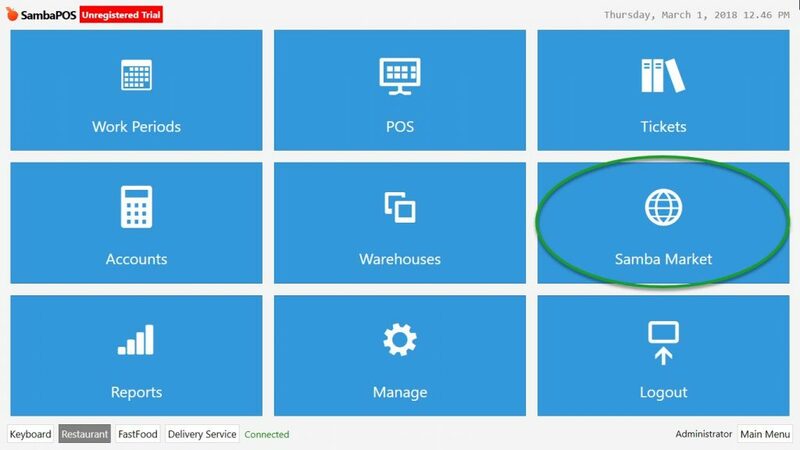 How to Count Warehouse Inventory?